So, while Krispy Kreme will no longer be safe for those with peanut or tree nut allergies, do not despair! If you check Allergy Shmallergy’s ever-growing list of Food Allergy Friendly Bakeries, you’ll notice a number of doughnut shops that are both safe AND delicious. “On July 24, Krispy Kreme Doughnuts will introduce a doughnut with peanuts and peanut ingredients in our shops and other locations where Krispy Kreme doughnuts are sold. Because the safety of our customers is our top priority, I wanted you and your community to be among the first in the U.S. to know about the introduction of this ingredient to our menu. The introduction of this specific peanut menu item at Krispy Kreme Doughnuts is new, but Krispy Kreme shops have never been allergy-free and specifically nut-free. Our shops have ingredients that can contain known allergens, including nuts. We receive ingredients from suppliers who produce products with allergens, including nuts, tree nuts, fish and shellfish. While some shops do not sell products made with nuts on the menu, because of how our products are manufactured, none of our shops are ‘nut-free.’ Following national safety guidelines, we take many steps to clean machines and surfaces in our shops, but there is the possibility that trace allergens might be found in our products. As a result, we post and label known allergens and ask guests to make sure they check the post before entering our shops and the labels before consuming. Lupin allergy is on the rise. But most people haven’t even heard of lupin in the first place. Travelers to Europe, Australia, Canada, the Mediterranean and even the U.S. should become familiar with it. So should those who are gluten-free as well as those who have a peanut or soy allergy. 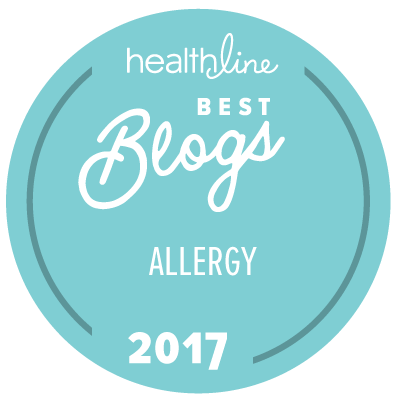 Read the article I recently wrote for the Allergy & Asthma Network, entitled “Why Is Lupin Allergy Becoming More Common?” to find out what lupin is, where it is found and who is most at risk for a reaction. Why Is Lupin Allergy Becoming More Common? Have you heard of lupin? Don’t feel bad; most Americans haven’t heard of it either. But that’s likely to change. Lupin (or lupine) beans are legumes – putting them in the same plant family as the peanut. Lupin beans are high in antioxidants, dietary fiber and protein and low in starch. And like all legumes, they are gluten-free. Lupin beans are commonly used in Mediterranean cuisine. Sometimes ground into flour and blended into regular wheat flour, lupin is also widely used in Europe and Australia. There, lupin is frequently found in baked goods and pastas as well as breads, sauces, beverages (such as beer) and meat-based products like sausage and hamburgers. Lupin is showing up in the United States as well. It appears most often as a substitute for gluten or soy in free-from products as well as replacement for genetically modified ingredients and animal proteins (primarily dairy and egg). Can you be allergic to lupin? 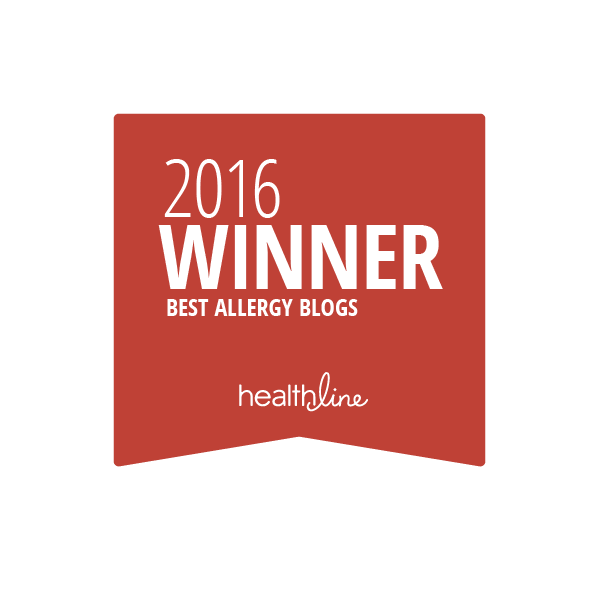 Although not one of the “Top 8” allergens, lupin is beginning to make headlines in the food allergy world. For many, eating products containing lupin is completely safe. However, for a few, lupin can trigger an allergic reaction. The odds of having a reaction are higher if you already have a peanut allergy. This is called cross-sensitivity. There is no evidence that lupin allergy is more severe than other allergens. Like all allergic reactions, symptoms vary. Those who are allergic to lupin have reported reactions ranging from hives, swelling of the lips and face, to gastrointestinal and respiratory distress, and cardiovascular issues. Do manufacturers label for lupin? Due to the frequent use of lupin in European and Australian packaged goods, coupled with reports of allergic reaction, manufacturers in the European Union are required to label for lupin. But this requirement is voluntary in places like the United States, Canada, Australia and other parts of the world where you may find lupin listed among other ingredients without special emphasis. U.S. laws and regulations only require labeling to highlight the Top 8 allergens. Those allergic to lupin or unsure should be careful of unlabeled, over-the-counter baked goods like pastries sold at a bakery, bread rolls served at a restaurant or beer at a local pub. While lupin is currently popular in Europe, its presence is increasing in the United States and elsewhere. As the demand for gluten-free and other free-from goods grows, so may the use of lupin. If you are concerned you may be allergic to lupin, speak to your board-certified allergist to discuss level of risk, testing and prevention strategies. 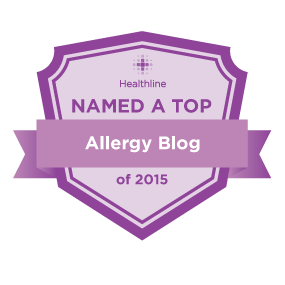 Avoiding the allergen is the only way to prevent an allergic reaction. It’s BBQ time and with that comes later sunsets, fireflies and eating outdoors. What’s the easiest thing to throw on the grill? Burgers and hot dogs! What’s the hardest thing to find if you’re allergic to sesame seeds? Buns. For unknown reasons (because I can’t taste the difference), most commercially made hamburger and hot dogs buns – including potato rolls – are made with a ground sesame seed flour. While shopping for buns for our own upcoming BBQ, I thought this old post might help you in shopping for yours! I was at the market today and, in preparation for a spring and summer full of barbecuing, I scanned the bread aisle for buns. Specifically hamburger buns. 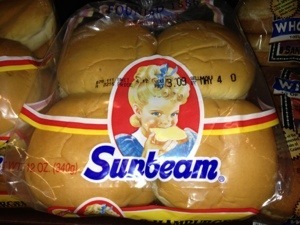 Frustratingly, when manufacturers aren’t putting sesame seeds ON their buns, they’re adding them in as an ingredient. I, personally, can’t taste the difference. 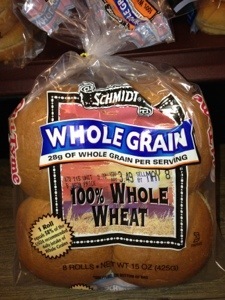 So it only serves to drive us crazy in our quest to find safe hamburger buns for my sesame seed-allergic little guy. 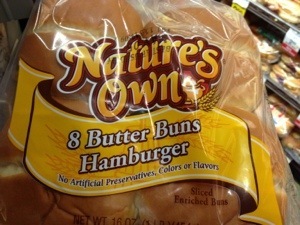 When we’re out at a restaurant or a BBQ, we always ask about the hamburger buns’ ingredients. Often times, if I KNOW my son will order a burger, I’ll bring a bun from home. That is, when we can find a safe brand. To shorten your search, here are a few I found at our local Safeway. Please add to the list if you’ve come across any others! 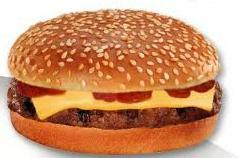 All this thinking about burgers is making me hungry! Read the ingredients carefully on each package and always ask (and explain) when ordering burgers and hot dogs at restaurants. Have a good weekend and enjoy! You guys already know this: Desserts are tough to rely on for people with food allergies. The typical bakery will almost never guarantee that your dessert doesn’t contain or hasn’t been cross contaminated with nuts and most are made with dairy, eggs, wheat, and even corn and soy. So, every couple of weeks, I would spend an afternoon baking and frosting cupcakes for my son to bring with him to birthday parties, class celebrations, and dinners out. Sometimes, he’d have the occasion to gobble up a whole batch (minus a few for Dad) before I could even freeze a few! But I began noticing he wasn’t really eating the cake part. Which started making my labor of love a lot less lovely. “Yeah, Mom….” he began one day, “I don’t really like the cake part.” I thought I would die. Do you know how much time I had been spending baking cupcakes?! Turns out he was just using the cupcakes for the frosting. So, I had to find a new vehicle to get frosting into that kid’s mouth (but ONLY for special occasions, much to his dismay!). Thus the Cookie Sandwich was born! At first I used store bought cookies (influenced by my son’s inexplicable objection to my baking). As they are, they are a humungous hit when I send them into school for both my boys’ birthdays. And, it’s embarrassing when moms ask for the recipe because it’s so insanely simple. But this week, the Cookie Sandwich has been upgraded. And, may I point out that it’s frosting to cake ratio is ideal! It’s just simple math. These are perfect for taking with you to birthday parties, serving as class treats, and offering to guests. I made them for my husband’s birthday this week and plan on making more for a May Day celebration. Heat oven to 350 degrees. Mix all ingredients together until soft batter forms. Scoop onto ungreased baking sheet. Bake for 8-10 minutes. Cool completely. Frost generously on the bottom of one cookie and top with the bottom of another. Serves 12. Notes: I use Pillsbury frosting because it is dairy-free (a holdover from when my son was very allergic to dairy). Although this recipe isn’t dairy free, I’m certain it would be delicious using dairy-free butter and very vanilla soy milk in lieu of regular. As is, it’s good for kids who are approved to incorporate baked milk products into their diet. Optional: I liked mine with the sprinkles IN the cookie, but you would use another cake mix and roll the frosted cookies in sprinkles, chocolate chips or nonpareils to mix things up! Quick someone get me a napkin, I’m salivating from TYPING about them! A fabulous friend of mine just called to let me know that the Great Harvest Bread Company near us sells gluten-free bread every other Tuesday (the next Tuesday is March 20th at their Alexandria, VA location). Exciting! Not only do they sell GF bread, but also GF cookies and brownies as well. If you’re lucky, you’ll land some amazing bread. Check out these photos and review from glutenfreefever.com: Thursdays are the BEST at Great Harvest Bread Co in Hillsboro. 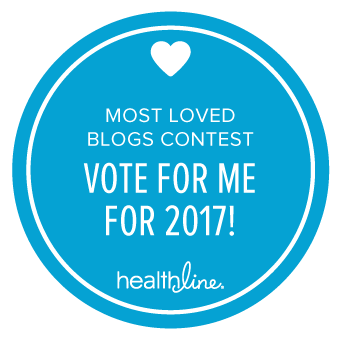 **Also, Great Harvest lists 6 of the top allergens on their website so you can figure out which of their amazing breads are safe for you. Sesame seed allergies are a little tricky. Sesame seeds may be tiny but they are potent and can cause a serious reaction for those who are allergic. Additionly, federal law does not require sesame to be highlighted on grocery items (although it will still be included in ingredient lists). So it’s worth familiarizing yourself not only with foods that typically contain sesame seeds but also the names of ingredients that are sesame seed derivatives. 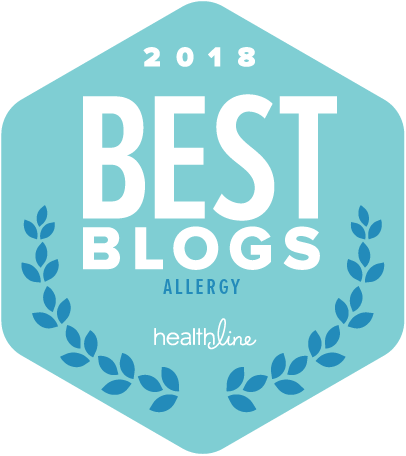 As discussed in an earlier post (https://shmallergy.wordpress.com/2011/02/01/bring-on-the-meatballs/), sesame seeds are often included in bread crumbs, making ordering food with breadcrumbs just a little more complicated. Sesame seeds are often an ingredient in wheat and multigrain breads (sliced bread, baguettes and rolls). They also make frequent appearances in crackers and cereals (such as muesli), so read your ingredient list carefully. Cross-contamination with sesame seed bagels are an issue when ordering bagels from a bagel store. Again, proceed with caution. Sesame oil is unrefined, meaning sesame seed protein can still be found in the oil — the same protein that will likely cause an allergic reaction. Ordering Chinese food is likely out for anyone with a sesame seed allergy as much of its restaurant fair is cooked in sesame oil and includes the actual seeds in their dishes. But, if you’re cooking Chinese meals at home, you should also know that Hoisin sauce lists sesame seeds as an ingredient. 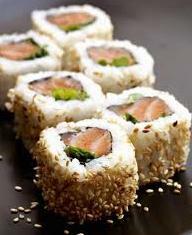 Remember when you are ordering sushi to do so without sesame seeds. Not only are rolls often covered in seeds, but seeds can be sprinkled on a variety of hot dishes as well. 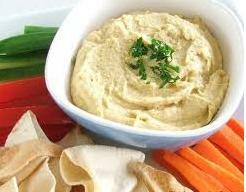 As for Mediterranean fair, be aware that tahini is sesame paste. This is important to know as tahini is included as an ingredient in hummus, amongst other dishes. Ask whether or not your dish is cooked or served with tahini when ordering at Mediterranean restaurants. Hamburger buns are not just sprinkled with sesame seeds. Many times, sesame seeds are included as an ingredient. Veggie burgers sometimes include sesame seeds as do various salad dressings and marinades. Again, read ingredient labels carefully and ask all appropriate questions when dining out. Also, be aware of contact with sesame seeds via some beauty products, cosmetics and dog food. Just pay attention! I can’t believe it, my son is 6! 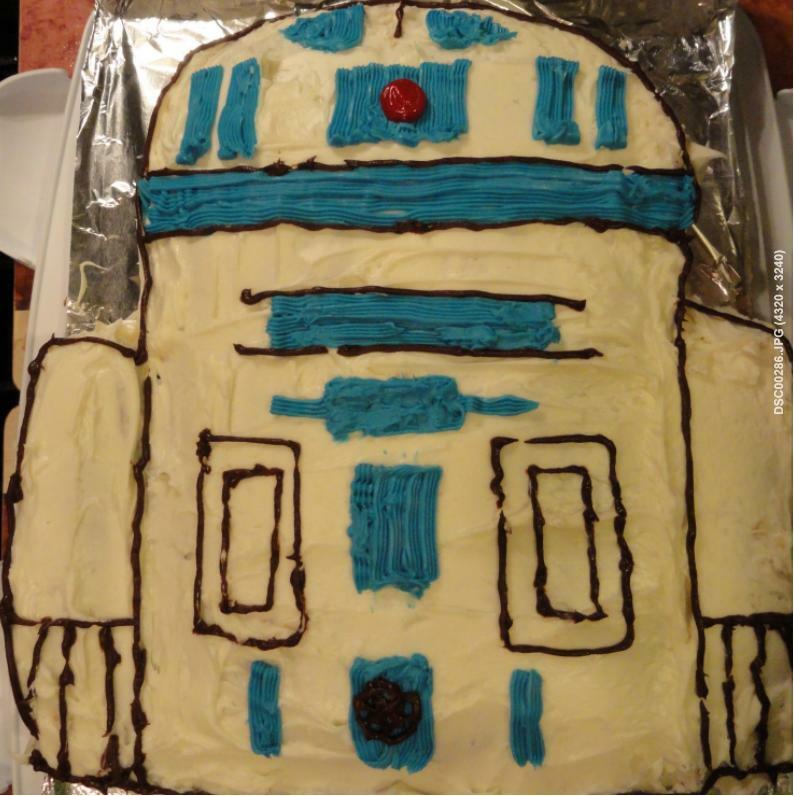 In a flash of ambitiousness, I set out determined to make an R2D2 cake for his Star Wars-themed party. But after spending an overwhelming hour in the baking section of Sur La Table surrounded by employees advising me quite honestly about how difficult working with fondant could be (especially for the first time), I decided to go simpler. I had heard that Giant supermarket’s sheet cakes are nut-free. I contacted our local Giant three times over 24 hours and spoke with three different people inquiring about their cake’s allergy information and was assured each time that it did not contain tree nuts or peanuts. I asked if there was mention of manufacturing issues in regards to nuts or peanuts and was again assured they saw nothing to indicate it was a problem. We ordered a Star Wars cake and I patted myself on the back for saving a few hours of work the day before the party. An hour before the party started, my husband picked up the cake from the bakery and was alarmed to notice that the label stated, “Allergen information: this product contains walnuts, peanuts, dairy, eggs, wheat and soy.” WHAT?! So, I placed my fourth phone call to Giant’s bakery. The employees apologized and kindly mentioned that we could return the cake and keep the Star Wars cake toppers. But with only an hour to go before 18 kids and their parents showed up, I had few options. So, I scrambled to make a small safe cake to be sure my son could eat some sort of birthday cake at his own party. Yesterday, I spoke with the manager at our Giant in McLean about the incident. I urged him to work with his staff to better prepared them for food allergy questions and arm them with answers that could have avoided this debacle. He and his assistant manager were very gracious and understanding. The assistant manager has a daughter with food allergies and was naturally disappointed. The manager planned to discuss this issue with the bakery staff. And, they both insisted on refunding my money even though I protested that I hadn’t come in for that purpose. Giant’s cakes and icings are not made on premises. They are made by outside vendors. There are ingredient lists available in the bakery for these products. The cakes do not contain tree nuts or peanuts. The icing is also tree nut, peanut-free as well as milk-free. BUT, the cakes are assembled and decorated in Giant’s bakery. And, they handle tree nuts and peanuts in their workspace. Although the rumor is that Giant bakery goods are safe for nut and peanut allergic children. They actually aren’t. Because while it appears the cake and cupcakes do not actually contain tree nuts or peanuts, there is an unresolved issue with cross-contamination that I, personally, wouldn’t feel comfortable with. This issue will likely prevent many parents from being able to buy their bakery goods for birthday parties and/or school functions from Giant (since most schools require nut-free treats that were not processed on contaminated equipment) and urged Giant’s manager to explore the possibility of correctly labeling their bakery products, at a minimum. Giant Star Wars cake we served only to party guests - everyone BUT the birthday boy! Safe R2D2 cake I whipped up the next night in under an hour - Should have done this in the first place!